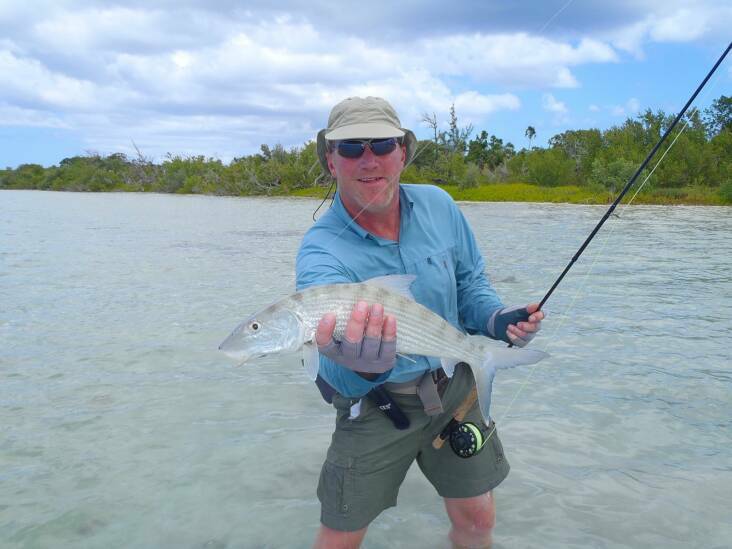 For anglers who want an exciting, off-the-beaten-path DIY adventure, Great Inagua fits the bill! 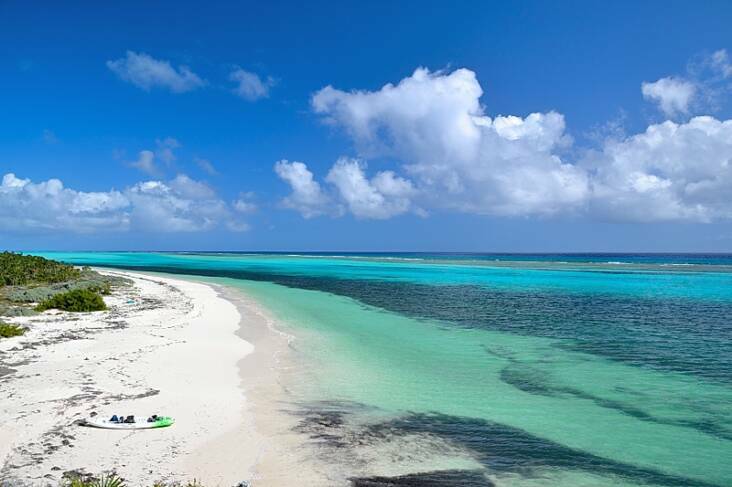 Great Inagua is the third largest & southernmost inhabited island in the Bahamas, located 55 miles from the eastern tip of Cuba. The interior of Great Inagua has several lakes, most notably Lake Windsor (also called Lake Rosa) which occupies nearly 1/6 of the interior. The population of Great Inagua is about 800 residents, many of whom work for the Morton Salt Company's main facility, which produces one million tons of sea salt per year, making it the second largest solar saline operation in North America and Inagua's main industry. 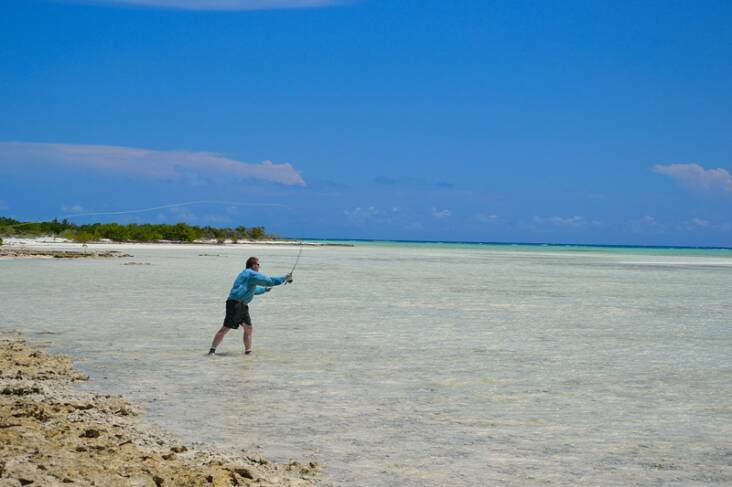 For DIY anglers, Great Inagua offers a true wilderness fishing experience. 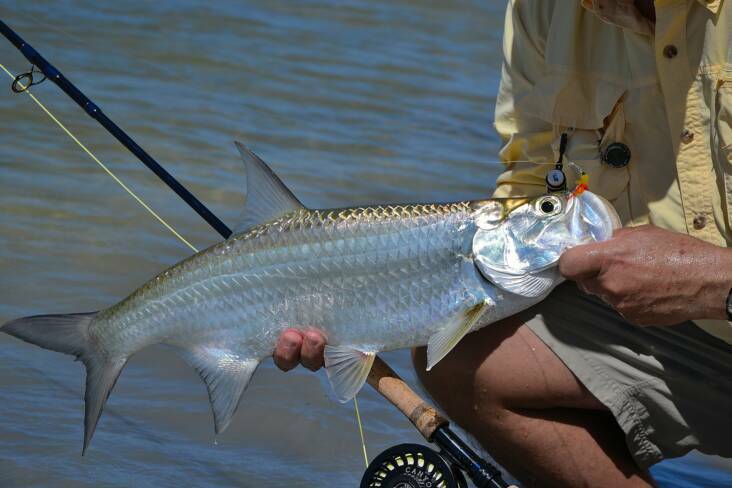 Remote oceanside flats and creeks, as well as the interior lakes and their maze of channels and lagoons, offer anglers outstanding opportunities for bonefish, tarpon, snook, jacks, barracuda and more species. 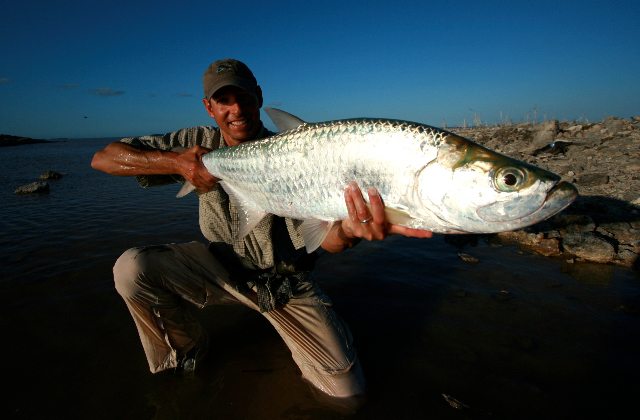 Above average sized bonefish are the norm here, and the tarpon fishing, with fish running from 5-50 lbs, can be outstanding! 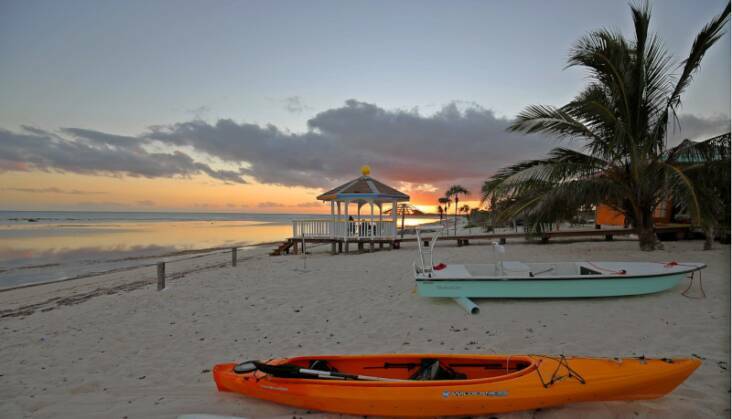 Great Inagua is home to the Inagua National Park, which is a one hour drive from Matthew Town and covers 183,740 acres of the island. Birdlife dominates the park and the flamingo, the national bird of the Bahamas, is the star attraction. Inagua National park is the site of the largest breeding colony of west Indian Flamingos in the world. Today, the population numbers approximately 60,000 after having made a 40 year journey back from the edge of extinction. Other bird life includes Tri-colored Herons, Great Egrets, Roseate Spoonbills, Brown Pelicans, White Cheeked Pintails, West Indian Whistling Ducks & Burowing Owls. Henry Nixon is the Park's warden, and can give guests a tour of Lake Windsor's tarpon hot spots, or take them birding! 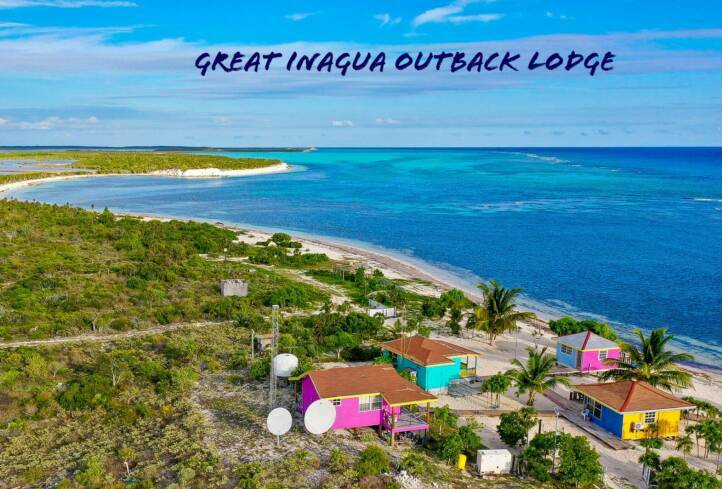 Inagua Outback lodge is the result of the hard work and vision of Inaguan Henry Hugh. Henry's dream after he retired from Batelco (the phone company of the Bahamas) was to relax in his own quiet island paradise, far from the daily routine of the island's only settlement, Matthewtown. The lodge, which can accommodate up to 6 anglers in two cottages, is located along a remote section of beach, more than 15 miles from Matthewtown, but within walking distance to good beach and flats fishing. You will be amazed at the celestial display on a clear night--no city lights to detract from the magnificence! Inagua Outback Lodge is powered with a diesel generator, which can operate the air conditioning in both cottages, the bar & dining room. The comfortable cottages have full bathrooms, nice beds with clean, fresh bedding, and fans for those who prefer to go without a/c. Water is supplied by a 1500 gallon cistern. The lodge also has warm water & cell phone coverage. Your stay includes a well maintained truck with good off-road tires. 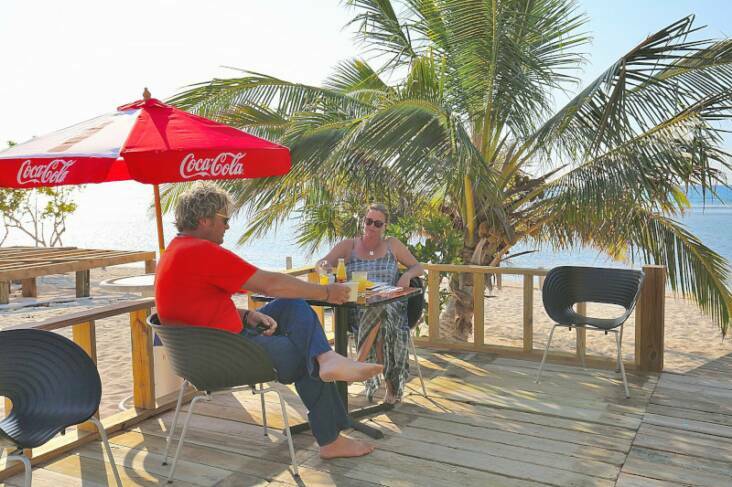 Meals are taken in the bar, small dining room, or in the gazebo just steps from the water, as you listen to the waves lap along the beach. 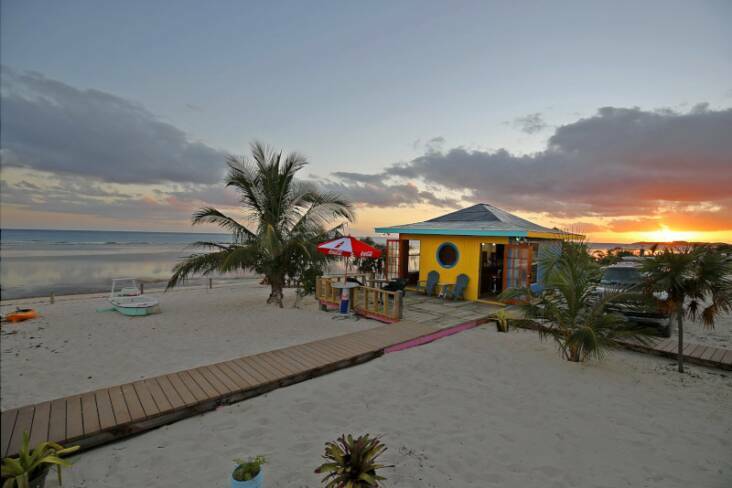 An American breakfast is served in the mornings, a sandwich lunch is packed and taken along for the day of exploring, and a delicious Bahamian dinner is served at the lodge at the end of the day. Ask your host Henry to prepare his delicious conch salad--with conch caught right in front of the lodge that day! 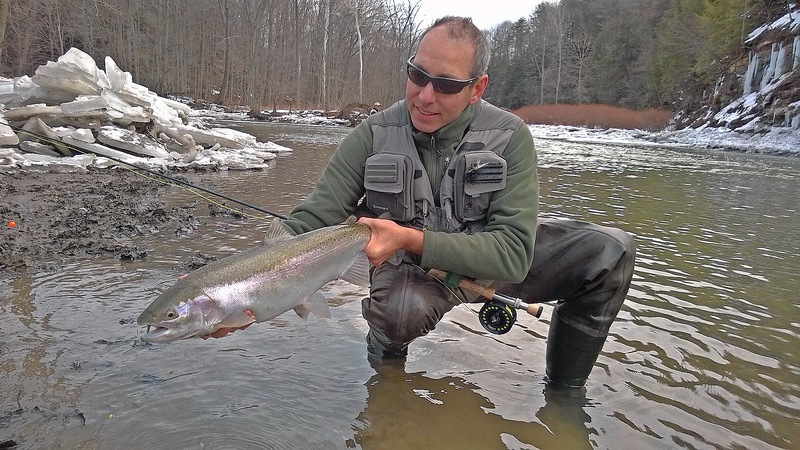 If you have at least four anglers in your group, the lodge is all yours for the week! 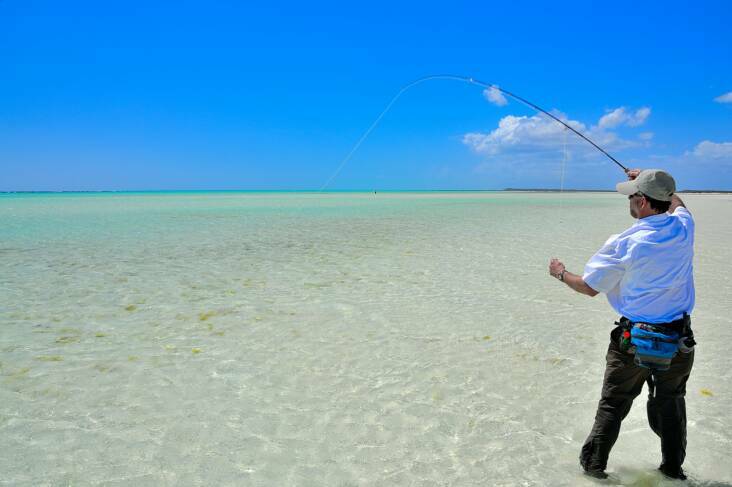 Inagua Outback Lodge is now "barbless hooks only"
The waters of Great Inagua comprise a unique ecosystem which supports an unspoiled fishery for bonefish and tarpon that is very rare in these times. 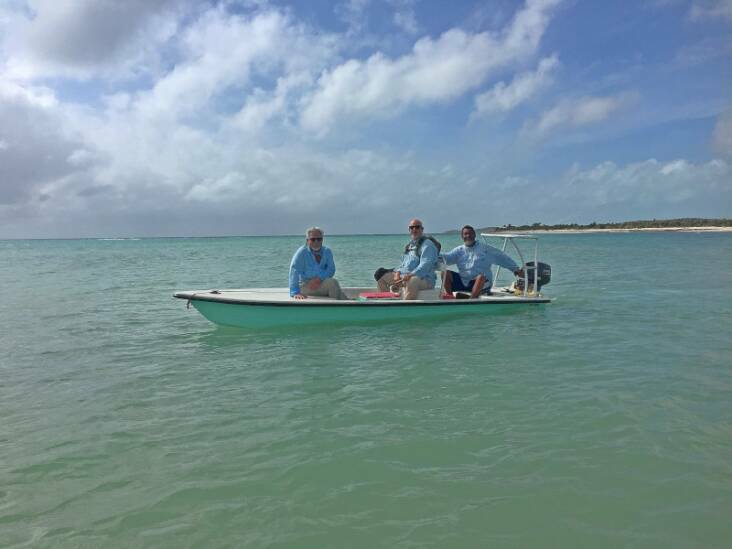 In order to protect this precious resource for future generations, Great Inagua Outback Lodge is now a "barbless hooks only" fishing lodge for bonefish & tarpon. When you tie on a fly, simply mash the barb flat with your pliers or hemostat - and you'll be ready to fish. 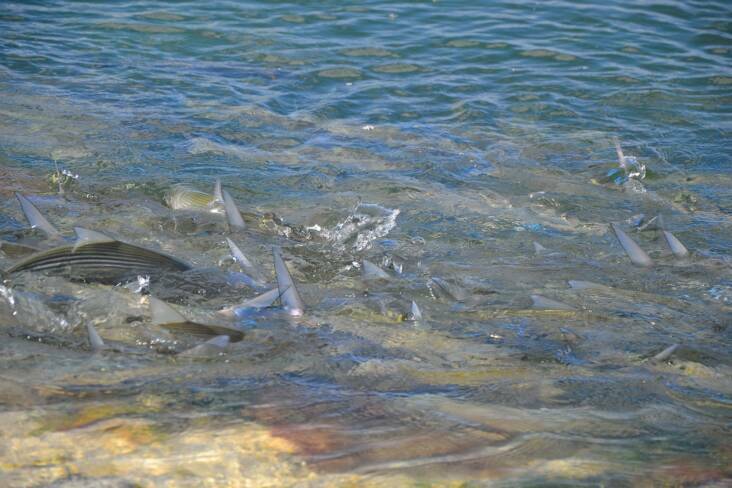 Proper catch & release techniques for bonefish & tarpon, courtesy of the Bonefish & Tarpon Trust, are provided, & guests are encouraged to familiarize themselves with these techniques. 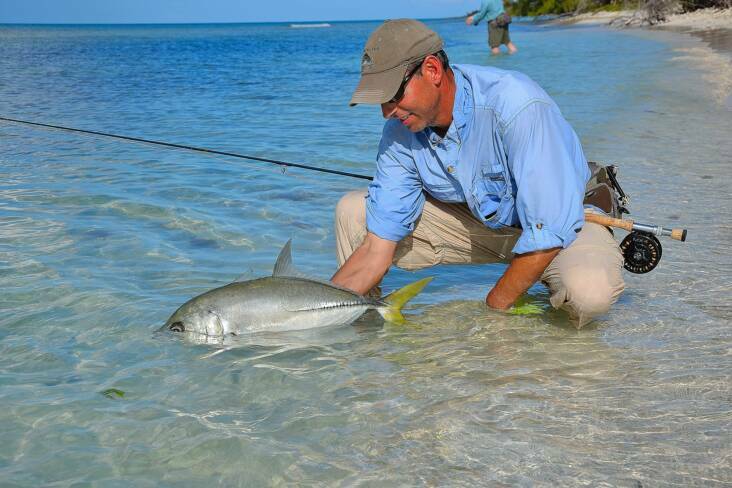 There are few lodges as remote and secluded as Inagua Outback Lodge! 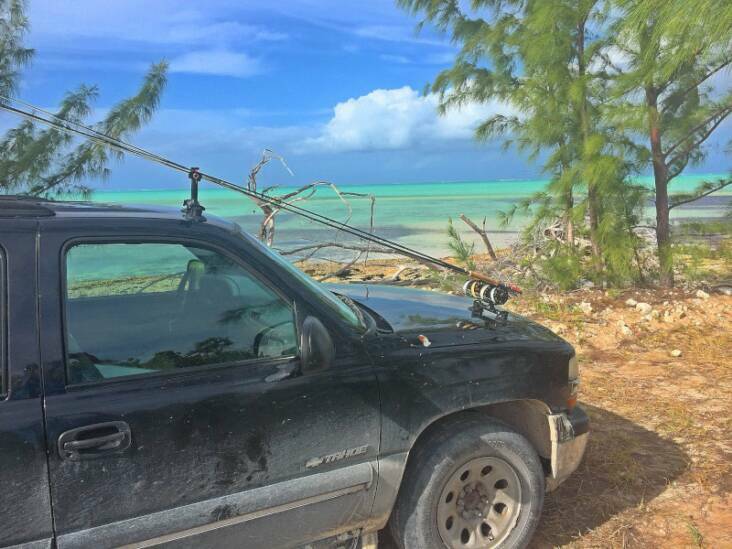 We cater to anglers who crave that "end of the road" feeling. 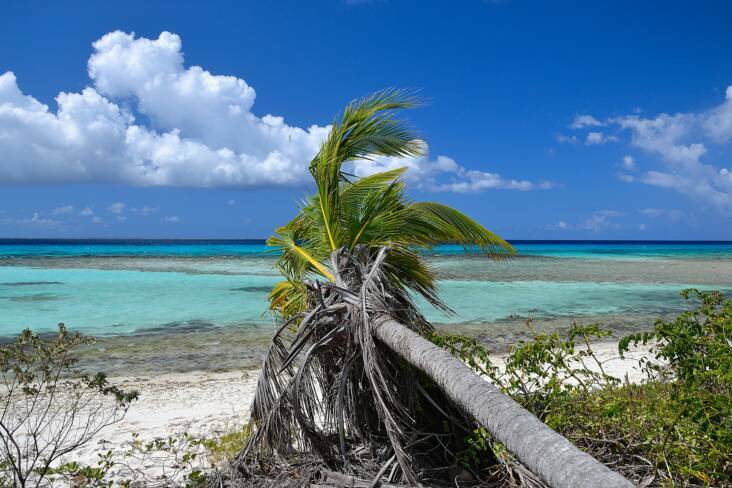 Let Henry Hugh be your host for an unforgettable adventure in the outback of Great Inagua! 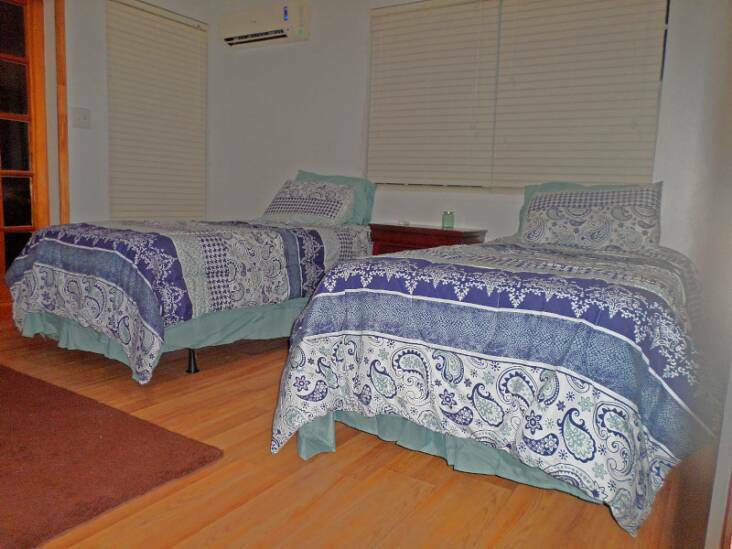 *Prices are per person based upon double occupancy. 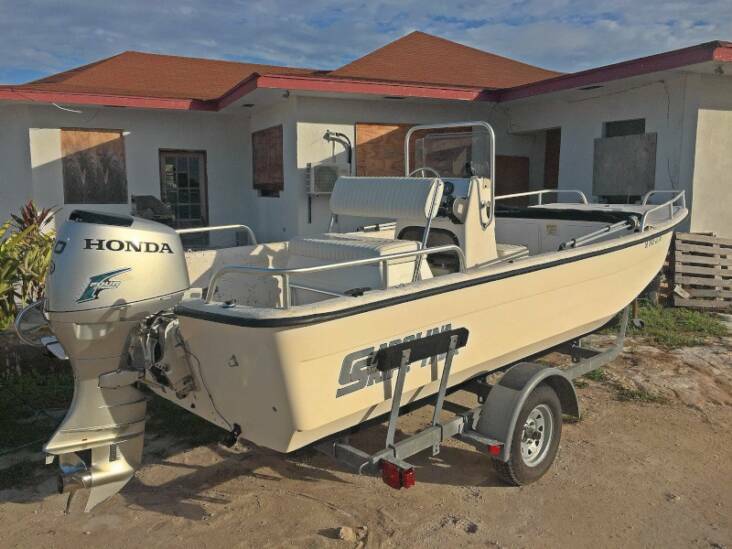 Rates include beachfront accommodations, all meals and non-alcoholic beverages, SUV or pick up truck w/ Sumo rod carriers, maps of the island, and a detailed informational package on DIY Fishing Great Inagua. *Our information is designed to get you fishing in productive areas immediately, hastening the learning curve all anglers must go thru when fishing a new, unknown destination without guides. Inagua has only three scheduled flights per week--Monday, Wednesday and Friday, On Bahamasair, and they depart from Nassau at approx. 9:15 am. Thus, you must overnight in Nassau the night before to make this early flight. On the way home it is possible to make it home the same day. The flight arrives into Nassau at approx.1:35pm, so book your return flight to the United States after 3:30 pm to be safe. It's an hour and a half flight that runs approx. $275 round trip. A deposit of 50% is required within 15 days of booking to confirm a reservation. The balance is due 90 days prior to arrival. Deposit is refundable, less a $100 per person processing fee, if written cancellation is received at least 90 days prior to the trip. 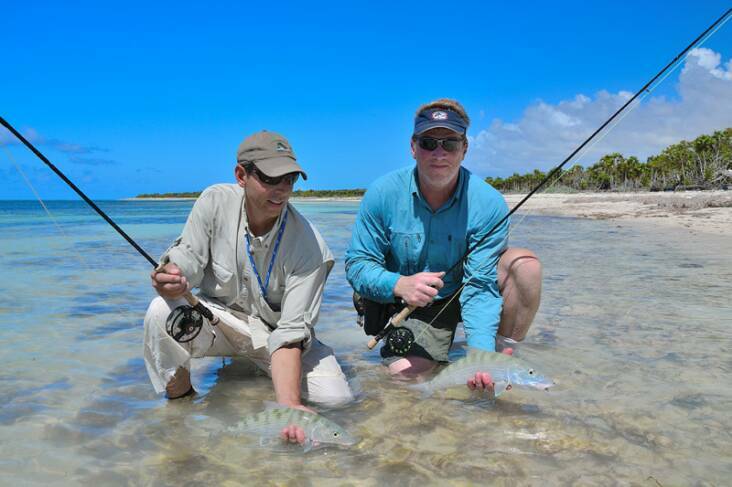 A 50% refund will be made to client if written cancellation is received 31-89 days prior to the trip, and no refund will be made if written cancellation is received 30 days or less prior to the trip, unless a substitute angler is found, in which case a full refund will be made less a $200/person processing fee. Receipt of deposit is acknowledgment that registrant has read and accepts the cancellation/refund and responsibility clauses.